Situational awareness: U.S. regulators at the FTC have met to discuss punishing Facebook over its privacy practices with a record-breaking fine that could exceed $22.5 million, the Washington Post reports. Was this email forwarded to you? Sign up here. Surprise: The U.S. and North Korea are talking about another summit, this one potentially in late February. 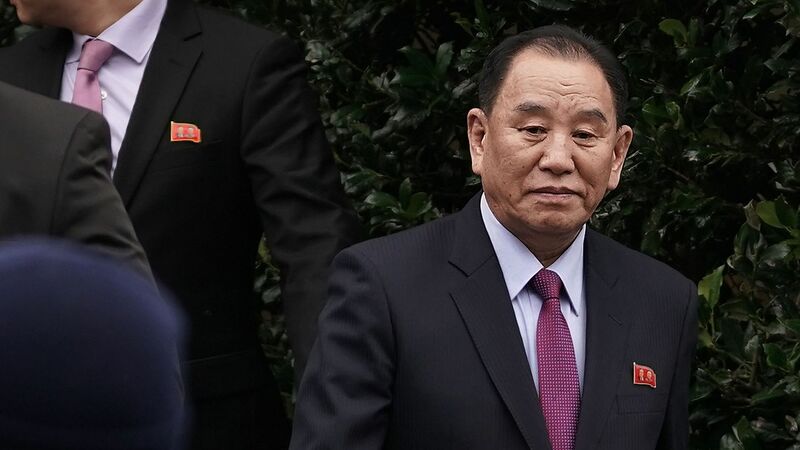 The location of the summit has not been announced, but President Trump met for about 90 minutes in the Oval Office today with Kim Yong-chol, North Korea's lead negotiator in denuclearization talks. Bill Bishop notes in Axios China: "I would not be be surprised if a meeting between Trump and China President Xi Jinping is added around this. The Chinese want another Xi-Trump face to face to close a trade deal before March 1." Why it matters: In the 220 days since Trump and Kim met in Singapore, there have been speeches, snubs, and occasional threats, but no substantial progress toward denuclearization, Axios World editor Dave Lawler emails. Kim has stepped further out of his shell, improving relations with South Korea and China and establishing himself as a global player. “Maximum pressure” against his regime has faded, but sanctions remain in place. The North Korean leader has rejected the U.S. premise that denuclearization must come first, followed by sanctions relief. He has spurned what most experts consider step 1: documentation of his nuclear assets. What's next: The Washington Post notes that Trump might come to the table with an offer, potentially including a declaration of the end of the Korean War, to secure a breakthrough. The bottom line: We’re back where we started, with Trump and Kim taking center stage. Their rhetoric toward each other has been warm. 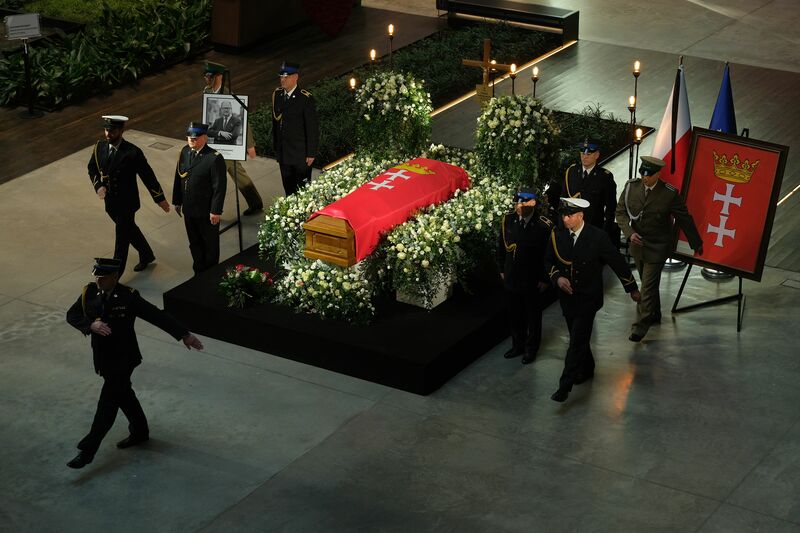 Ceremonial guards rotate as mourners pay last respects at the coffin of murdered mayor Pawel Adamowicz in Gdansk, Poland. Adamowicz was stabbed on stage while attending a charity event in Gdansk last Sunday and died a day later of his injuries. Sen. Jeff Merkley (D-Ore.) has formally requested that the FBI investigate whether Secretary of Homeland Security Kirstjen Nielsen lied under oath in December. Go deeper. Buried in the BuzzFeed News report on Trump and Cohen is a line that could threaten legal exposure for Donald Trump Jr. ... What we know. Fixed-income trading revenue has been slowing for years, and hit the big firms hard, Axios' Courtenay Brown reports. House Speaker Nancy Pelosi's office is postponing her 7-day international trip after learning "the Administration had leaked the commercial travel plans," according to a statement. The era of award season DVDs being sent to TV Academy members is ending, the Hollywood Reporter notes. "Starting with the 2020 Emmy eligibility period, the TV Academy's 25,000 members will receive digital screeners of projects." "It's worth noting that the Academy of Motion Picture Arts and Sciences, which sends physical DVDs out to voting members, has had issues in the past with leaked screeners online." Dive in, no DVD required.